Supra ZAC MinTos means 3.5 mm mini plug to TosLink plug; short for Toshiba Link. 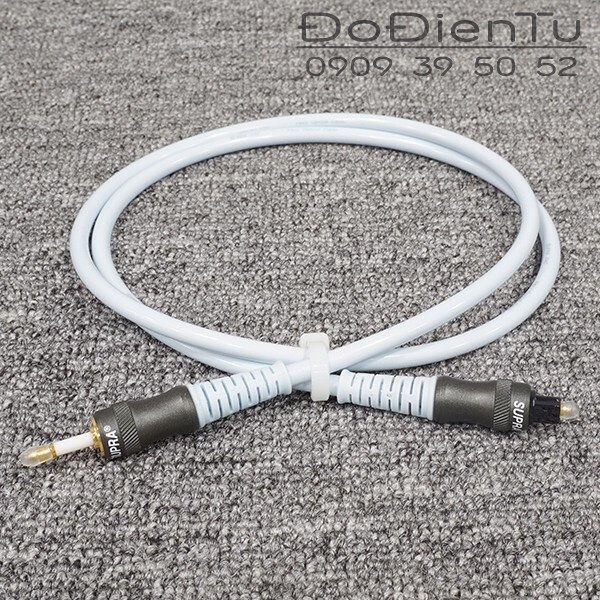 This combination optical fibre is quite often used when connecting new types of music players, e.g. laptop with USB to 3.5 mm optical converter dongle to a DAC with TosLink interface.